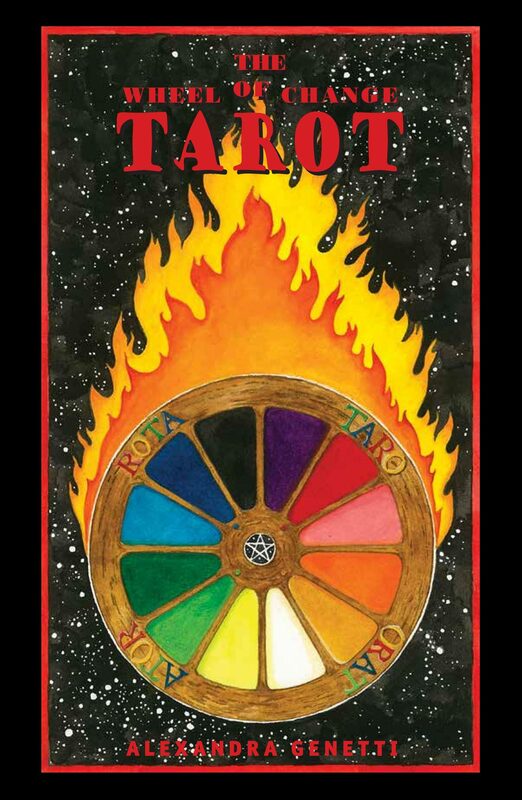 Originally published as a boxed set in 1997, The Wheel of Change Tarot companion book is now available separately. Ten years in the making, The Wheel of Change Tarot is a unique and brilliant creation. Although it follows the ancient tradition of the Tarot, it has many new features. This collection of 78 original watercolor paintings contains scientific, natural, historical and modern images. Based in a Pagan-oriented worldview, the underlying wheel of the year, and its cycles and seasons, form a backdrop for the varied layers of symbolism. The beautiful watercolors are full of detail and are painted in rich saturated colors, making the images vivid and exciting. The Wheel of Change Tarot is based in the broad scope of human experience and is multicultural. In each of the four minor suits the "face" cards - Queen, Knight, Princess and Prince - are each of a different race. Symbolically this represents the fact that all people are made up of the various traits of the four suits. The multiculturalism in the Wheel of Change cards appears both in the Major Arcana and in the Minors, where images from all over the planet are included. With these extensive and varied images The Wheel of Change Tarot is inclusive; it therefore brings in both the individual experience of a broad range of people and the ancient histories of these people. Another new feature of these cards is the broad historical period which they cover. The Ten of Cups shows an archaeological dig in Europe while the Four of Swords shows the ancient burial practices of the Egyptians. Many other images of the ancient historical and pre-historical period can also be seen in the cards. Also included are images that are exclusively from the present – such as the Two of Swords, showing a common pair of scissors symbolizing the simple magic involved in such a tool.